IKEA kitchen sales don’t happen every day. Although they’re typically held about three times a year, there really is no telling when the next one will be announced. For us at IKD, that’s all the more reason why you should be prepared with your IKEA kitchen design the moment IKEA makes the announcement. Being prepared to take advantage of an IKEA kitchen sale pays dividends for you in many ways and is why we strongly recommend you not waiting for the IKEA kitchen sale to be announced before beginning your design. An IKEA kitchen sale was announced in May, 2015 during the rollout of the IKEA SEKTION cabinet line, and then a year went by without another one. In 2017, IKEA’s first kitchen sale ran from March until early April, and then IKEA quickly announced another one in May. There’s just no telling! And remember, IKEA kitchen sales typically last only about five to eight weeks. With that tight window and high demand, products sell out quickly, delivery times are delayed (IKEA works on a first come, first serve basis), and ultimately less time is available to devote to designing the kitchen you want – whether you go into it alone or get help. That is why we at IKD offer six tips for navigating through the next IKEA kitchen sales event. To see the tips you’ll have to read below, but the thing to remember is these tips have one thing in common: Savings. You’ll save time spent online (and in line!) waiting for your products; will save you money on the IKEA cabinet choices you make by taking advantage of the IKEA discounts, and ultimately save you a lot of stress by letting the experienced professionals of IKD’s design team do the heavy design lifting. Most of all, these tips will save your peace of mind knowing that when your design is finished, you will have created your ideal kitchen. So, now when IKEA is ready to announce its next kitchen sales event, you’ll be ready too! The first tip is to become part of the IKEA Family loyalty program. 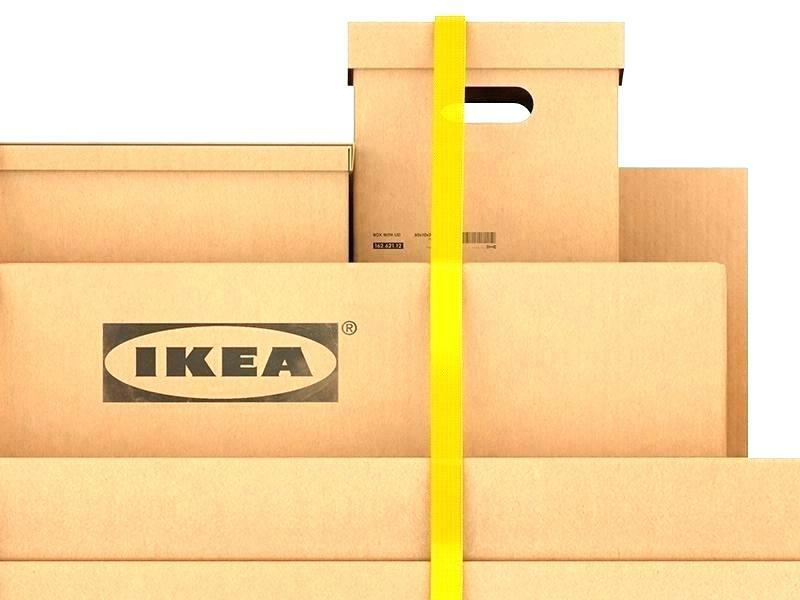 It’s free to sign up, and if you have a Family card, IKEA will provide 90-day price protection. 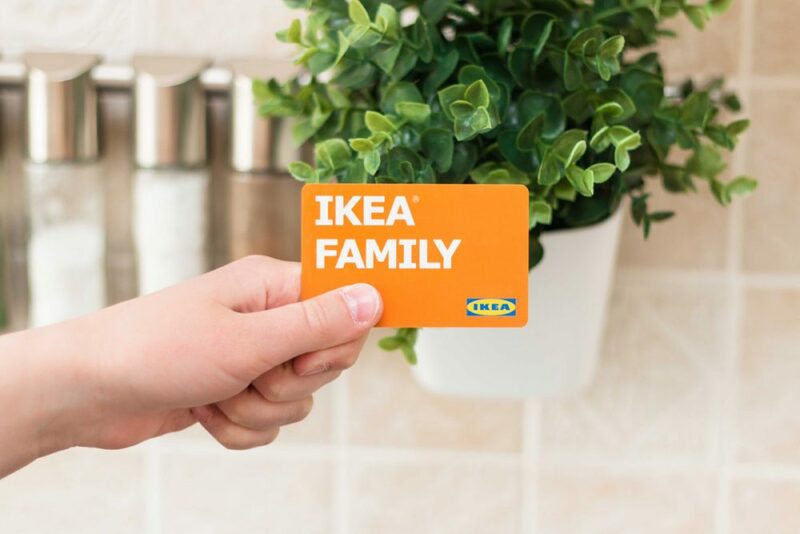 So if a product you purchased using your IKEA Family card goes on sale at a lower price any time within 90 days after your purchase, bring in your receipt and IKEA will refund the difference. In other words, you design your kitchen with IKD, make your kitchen purchases prior to the sale, avoid inventory and delivery issues, and come back for your discount (up to 20% based upon how much you spent) at sale time – all while receiving exclusive product discounts and special offers from IKEA (as well as free hot tea and coffee when you visit an IKEA restaurant). Sounds good, right? *Note: Not every country offers the 90-day price guarantee. Check with IKEA to confirm if it applies where you live. Having your kitchen design ready to go when the next IKEA sale is announced means saving money. The IKEA kitchen sales discount can range anywhere from 15-20% off a kitchen purchase of $2,000 or more and applies to anything you need to design a new kitchen – including cabinets, appliances, countertops, lighting, and storage organizers. Keep in mind some IKEA stores will refund you with the original form of payment, while others will only refund you with store credit. Either way, if you re-invest the refund at IKEA, you can use it to purchase other items for your space. If the refund is a gift card, you can break up your order up into several parts, and continue using the gift card from the first to apply to the next. Also, sales often include free delivery, and what’s better than that? In those cases IKEA does the inventorying for you and will get any pieces to you at no extra cost if they are missing upon arrival. It’s worth inquiring about. Also, you can schedule a delivery out 30 days. So if you time it right and know when you need the delivery for, you can place your kitchen order before the IKEA sale ends and have it delivered seamlessly for your project. For free! We all value our time, and properly planning out your custom kitchen design with IKD as opposed to wrestling with the notoriously buggy IKEA Home Planner software will save you loads of it. We are professional kitchen designers who are specialists in 2020 professional kitchen design software and IKEA’s Home Planner software, and from customer stories we know that the Home Planner software will inexplicably crash as you try and build out your design – possibly losing your work in the process. In addition, many safety features are not recommended through the IKEA Home Planner software — so not only does that risk the design not being ergonomically sound, it is also a potential health risk. Not good. We’ve also heard from customers that the Home Planner software generated an incomplete product list, leading to the design being put on hold while they were forced to head back to IKEA in order to purchase the missing pieces. That said, IKD recommends purchasing your items in-store as opposed to online because online is not always entirely accurate regarding inventory. Also, try going to IKEA on a weekday morning if possible, in order to minimize crowds and improve your customer service experience. The bottom line: Relying on IKD to get the design just right will free you up from stress, saving you time and aggravation in the process. 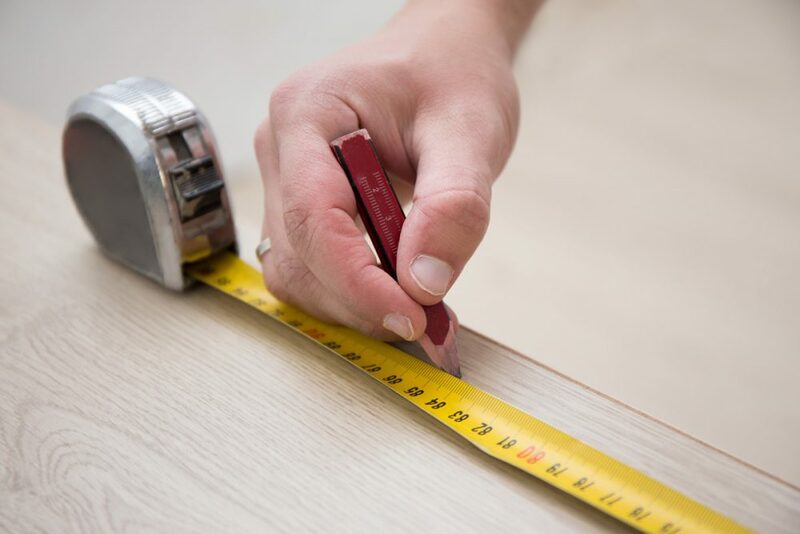 Just as a good carpenter should measure twice and cut once, a smart kitchen design customer will look to make sure they select the right materials and products the first time. In order to do that you need more time and not feel rushed. 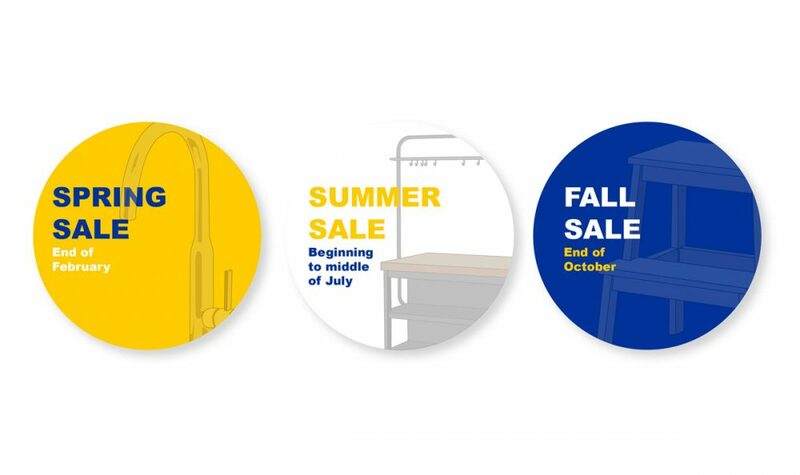 A tip to extend the sale for an additional 30 days is by buying IKEA’s measurement service. It starts at $49, but once you purchase your IKEA kitchen, you will be refunded the full measurement service fee. We recommend that you be honest with the sales associate when you purchase the measurement service: You want to extend the sale. This way they will make sure the sales prices are available to you. Even better, by ordering the measuring service you will have extended the sale 30 days to place your order, and the fee will be reimbursed upon purchase, which you can then use for other goodies for your kitchen design. 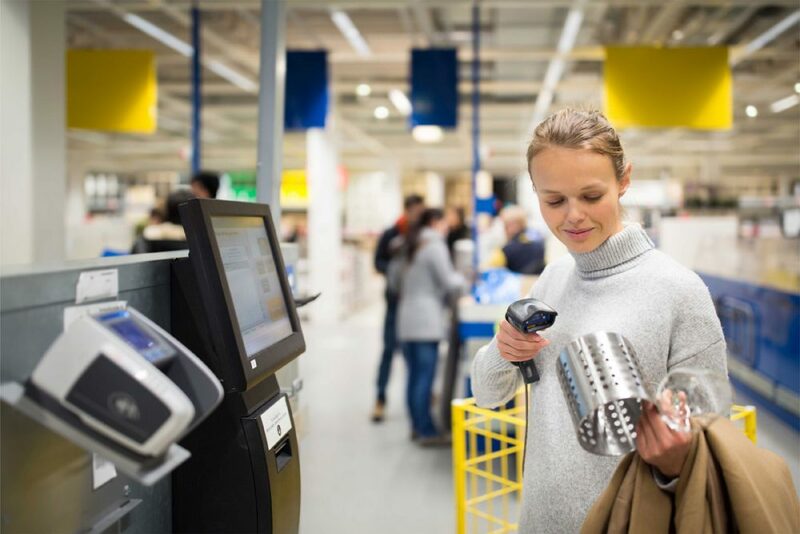 The early bird gets the worm – and in the case of IKEA kitchen sales, avoids waiting excessively long on line in the store, for deliveries or even being shut out altogether. As the sale goes on, there is an increased chance that some items will be backordered. 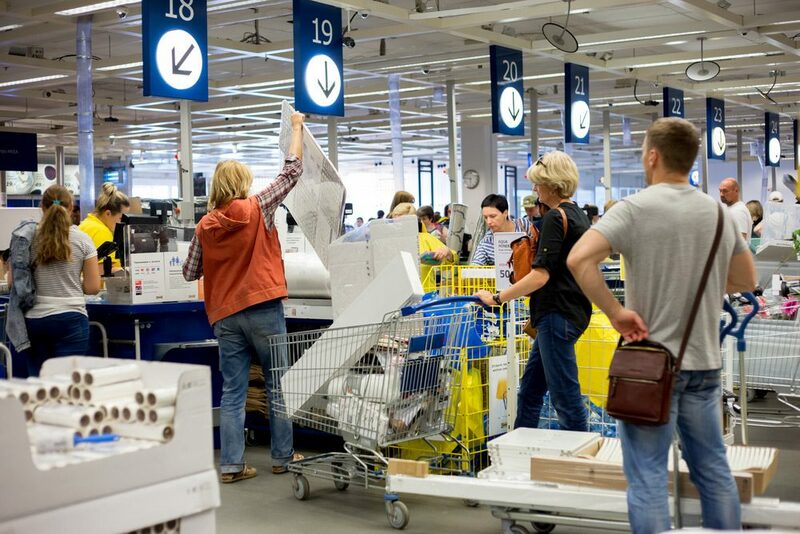 IKEA insiders have noted that they do try to consider latecomers by extending the sale price for a certain amount of time, but it is up to the individual store. So why spend the time you could be purchasing and receiving your products instead hastily scrambling for your wish list? Just because there is a bit of a hit-or-miss aspect to all of this, it doesn’t mean you can’t improve your chances by being prepared and early. And by doing so – particularly by utilizing IKD’s services to build out your list – it will ensure that no item is overlooked on your part and time will not have to be spent requesting – and hoping – for another hit-or-miss item from IKEA: The elusive post-sale discount that only certain IKEA stores sometimes grant. space – and how you intend to use your IKEA kitchen. Simply put, not waiting and starting now with IKD will ensure your project is completed on time and on your schedule. And that can make all the difference in your kitchen. Remember, IKEA sales run at different times in different countries. To try and get solid leads on when the next IKEA kitchen sale is being held in your country, visit your local IKEA and speak with an IKEA customer service representative. Learn more about how we can design your IKEA kitchen, bath and closet at https://inspiredkitchendesign.com.